Since 1993, Check-In volunteers have provided information and referrals, along with a sensitive and caring ear, to AIDS Action Committee’s clients, helping to maintain a strong connection between clients and staff members. Check-In volunteers complement our case management services by helping clients work through problems and encouraging successes. 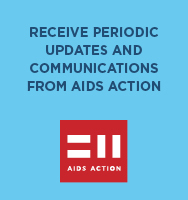 The Check-In program is one of AIDS Action’s oldest and most important services, helping to retain clients in care and services, which helps them live happier, healthier lives. For more information about Check-In, call our main number at 617.437.6200. Do you have up to three hours a week to help make a difference? Do you have a passion for advancing social justice? Are you looking for a vital and important volunteer experience? If you answered yes to those three questions, then you should consider volunteering for AIDS Action’s Check-In program. The Check-In Program requires a 12 month commitment. The Check-In Program isn’t for everyone. The Check-In Volunteer position is a serious commitment that should not be taken lightly. For many clients, the Check-In Program is their only connection to the Agency. Volunteers are part of our Case Management Continuum, and as such, the Program is demanding and challenging but immensely rewarding. It requires excellent listening skills, compassion, patience and the ability to talk with people from all walks of life. All volunteers are asked to be compassionate and non-judgmental as well as sensitive to HIV-related issues. You should be prepared to deal with ongoing life issues, losses, challenges and triumphs. Want to learn more? Call our main number at 617.437.6200 or email information@fenwayhealth.org and ask to speak with our Check-In Coordinator.